VMOD | 3D Printing / Genesis / Megadrive / Nomad mods! 3D Printing / Genesis / Megadrive / Nomad mods! It needed some additional modifications to get it to work with our beloved MK2S. Not sure but it should work with the MK3, someone can give it a try. You’ll have to desolder the old LCD with a solder pump and solder the new OLED. LiquidCrystal library replaced for OLED support. Black Friday Sale! Only for the weekend! Black Friday sale is here. Get your Ext. driver board kit for 24.99 EUR or your MegaNomad board for 23.99 EUR. Sale is only for the weekend! Have fun! MK2(S) Ext. Driver Board rev.2.4 is available now! 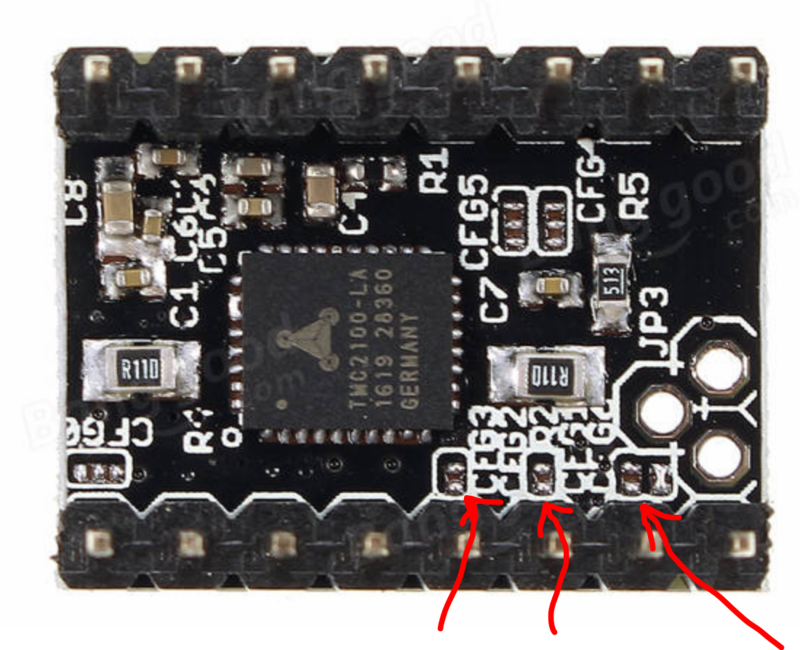 Hi guys, I often get the question if it’s possible to use a second external driver board for the Z motors. And the answer is yes. This guide is for the more advanced users as it requires more soldering and more wire connections. After you do it you’ll have the advantage of quiet Z motors and also running them with two separate drivers instead of running them with one as on the original Rambo board. That “/20” at the end shoud be adjusted to “/30” to get lower bed level speed. Hi guys, good news. I’ve completed testing my board with TMC2208 from Watterott. stealthChop2™ No-noise, high-precision chopper algorithm for inaudible motion and inaudible standstill of the motor. Allows faster motor acceleration and deceleration than stealthChop™ and extends stealthChop to low stand still motor currents. Hi guys, I often get the question for the high temperature on the motors. Yes, it’s normal, TMCs use different algorhythm in StealthChop mode and it’s also doing 256 steps instead of only 16. So the motors run hotter. It’s the same on MK3. 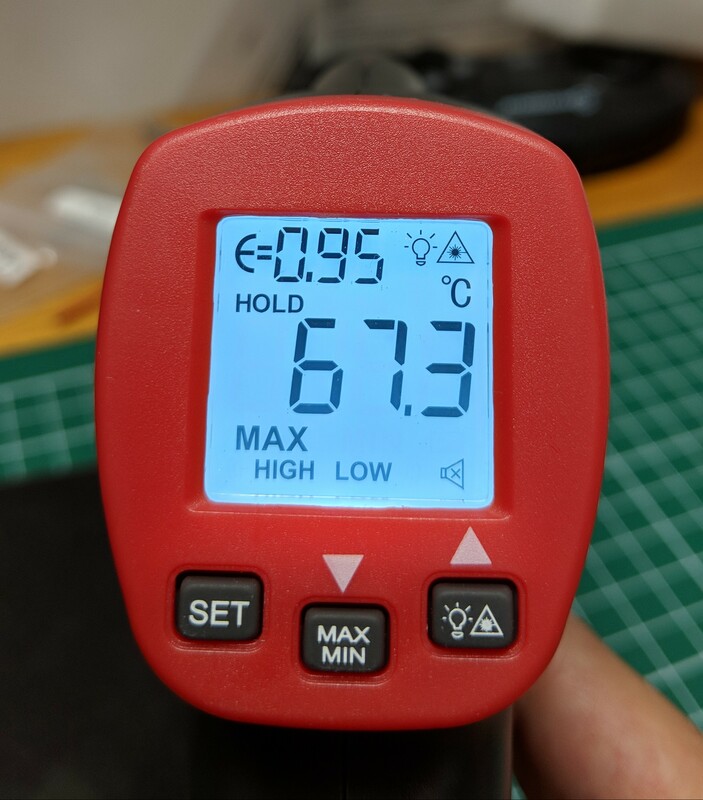 Pucture below is my X motor temperature during print of PETG. If you’re running with the stock LM8UU bearings you can try to lower the Vref on both motors to 0.85 V. After that watch for layer shifting. You can go even lower if you don’t have layer shift. If it appears you’ll have to increase Vref again step by step up to 1V so you get to a safe point. 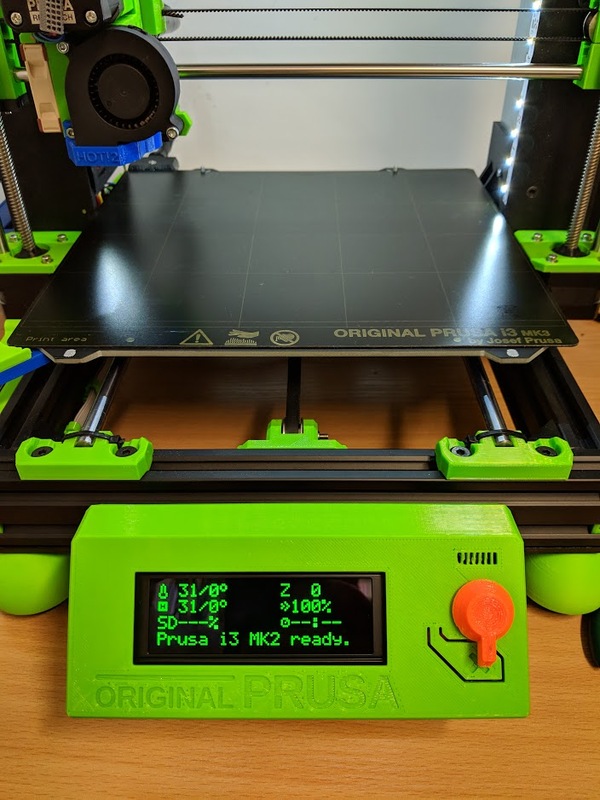 Mine get very hot during print, but no problems so far, motors are able to take a lot more temperature, Jo Prusa said it himself. If you’re running with IGUS bearings you will most probably get layer shifting after lowering the Vref. This is due to the nature of the plastic bearings and the usual problem with getting the rods perfectly parallel. At the end you’ll have to find the sweet spot for yourself and your current build. You can always contact me if you have any questions. Important news about the TMC2100 drivers! Hi guys, thanks to a friend named Craig Johnson now I know why the original Watterott TMCs are whining. It’s because they run in SpreadCycle mode and we all have been running in StealthChop mode with the chinese drivers with black PCB. No matter if the jumper on my board is soldered or not they run in StealthChop mode. They have little mini jumpers on the back that are being left open. This leaves CFG1 and CFG2 floating and the driver is runnig silent. Now this is not automatically a bad thing, you don’t have to do anything if you don’t have problems with layer shifting. I’ve been running mine since I created the first prototype board and never had problems with the VREF set to 1V. So if you’re using the chinese clone MKS drivers, you don’t have to do anything. If you’re using the original Watterrott TMCs just desolder the jumper on my board and they will be running StealthChop, too without any whining/hissing. Of course you can run in SpreadCycle mode (noisier), but then you need to solder CFG1 and CFG2 jumpers on the back of the chinese clone drivers. If you have any questions feel free to contact me. New shorter box for the external driver board! Hi guys, it turned out the first box I designed is a bit taller if you install it on stock MK2S. It’s because I used custom front and rear brackets for the Y axis and they are taller than the original ones. So I made 6mm shorter version. If you’re still using original MK2S parts use the SHORTER VERSION of the box. MK2(S) Ext. 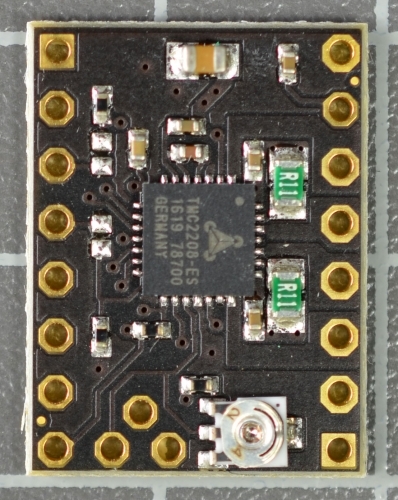 Driver Board rev.2.3 is available now! Enter your email address to get notified for news and stock availability.